A trained dog is a happy dog and at Countryside Kennels we understand the importance of a structured and manageable training regimen. I have 30 years of dog training and dog breeding experience. My dog training experience includes training protection, French Ring, Schutzhund, bird dogs, sled dogs and herding dogs. Anyone that has had a dog that has shown the pure enjoyment of being able to perform for what they have been bred for, understands. 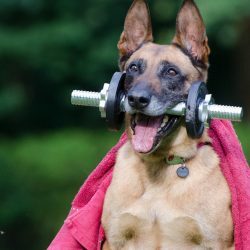 Those are dogs that have the human connection to succeed at any task to where dog and human succeed. It’s hard to explain unless you have had that moment. And I want to help you have that moment with your dog. We offer 2 different training options. After completion of any of these training packages, you will receive a Certificate of Completion from Countryside Kennels. At least 50% of the training cost is due at the time your dog is dropped off for training. The reminder amount will be due when your dog is picked up and the training is completed. Please use the deposit button below to pay 50% or select your training package and pay in full. New Puppy Board & Train Package for $300.00. This package consists of crated training and leash breaking your new addition. Your puppy will be separated from litter mates and start getting socialized to new environments. This package is great for puppies that are 8 weeks to 4 months old. Basic Obedience/Behavioral Issue Board & Train Package for $1,000.00. This package includes heel, down, sit, stay, come, crate trained, leash broke and load in vehicle. This package will include addressing any behavioral issues you be experiencing. This is great beginner package for your new addition that is at least 4 months old. To schedule your dog for any of training packages please select the appropriate button below, call or email us directly using the form below. We look forward to working with you and your pup! Call us directly for prompt answers to your questions. Browse our available pups. The site is updated regularly.